Agendas are available prior to Harbor Plan meetings. 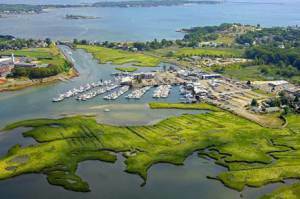 The Harbor Plan Committee has met monthly from November, 2012 to June, 2014 in the development of the 2014 Harbor Plan. Briefing from the Harbor Planning Director on proposed scope for Plan. The scope for the 2014 HP is the development of an economic strategic plan, accompanied by a proposed regulatory and institutional framework that will support reinvestment in waterfront properties. In August 2013, a consultant team led by Ninigret Partners, in partnership with utile and Durand & Anastas, was selected to accomplish these objectives. The process and presentations that are informing the 2014 Harbor Plan may be found on the city's Harbor Plan webpage.